Today, I ran to Winn-Dixie because it is the closest grocery store to my house (even if it’s not the cheapest) but not before I checked the Ad to scope out the best deals. 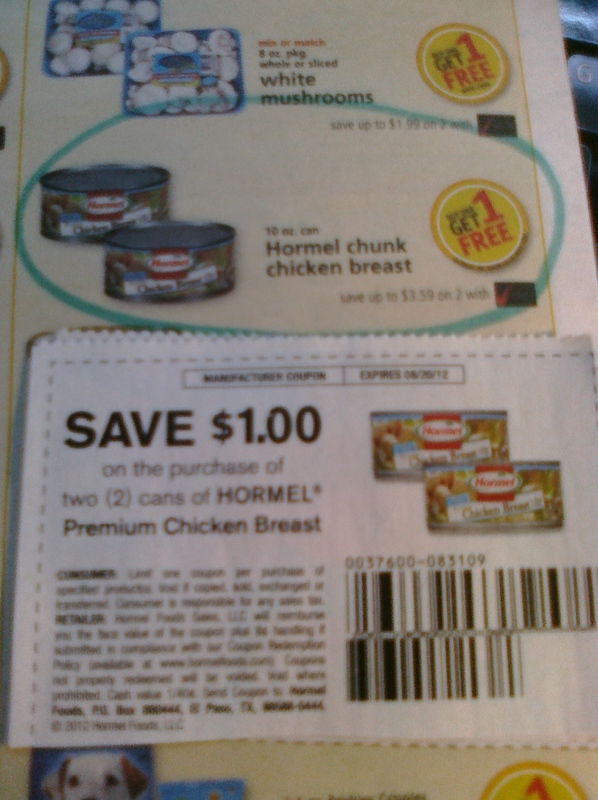 – Buy 1 Pound of Winn-Dixie Deli Cheese receive 1 Pound of Hormel Deli ham for free! 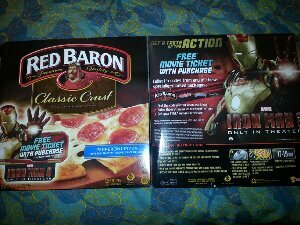 I was very pleased with these deals! I sometimes find Winn-Dixie to be more expensive but they do have good sales on certain items. 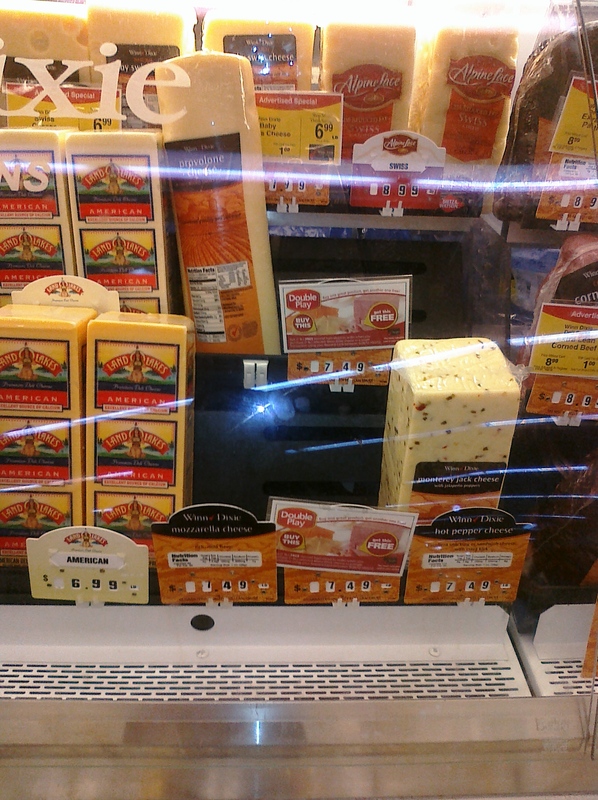 Winn-Dixie is currently offering the deal Buy 1 Pound of Winn-Dixie Deli Cheese and receive 1 Pound of Hormel Deli ham for free! This is a great deal if you prefer your lunch meat and cheese from the Deli like we do. 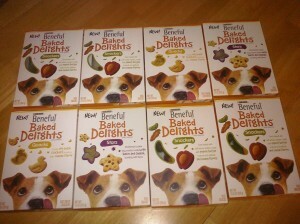 We try to avoid the preservatives in prepackaged meat and cheeses. 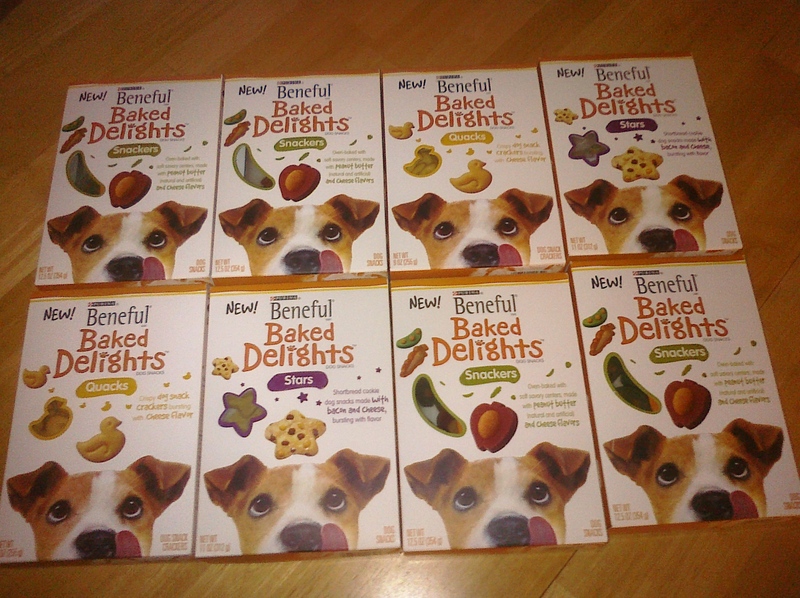 So this isn’t a typical couponing shopping trip that I would post about but I figured that I would share anyways. Let’s talk about meat. 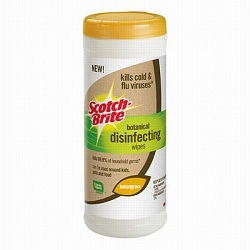 It is easily the most expensive item on my grocery shopping trips and it is usually what I try to buy when I have decent moneymaker deals at Publix. But how can you save on meat not using coupons? One thing I tried this year was buying an extra ham and turkey at Christmas time and freezing them. This actually was a really nice savings but not a lot of variety and I don’t have an extra freezer besides the small one attached to my fridge so it would be hard for me to buy more than 2 at a time. 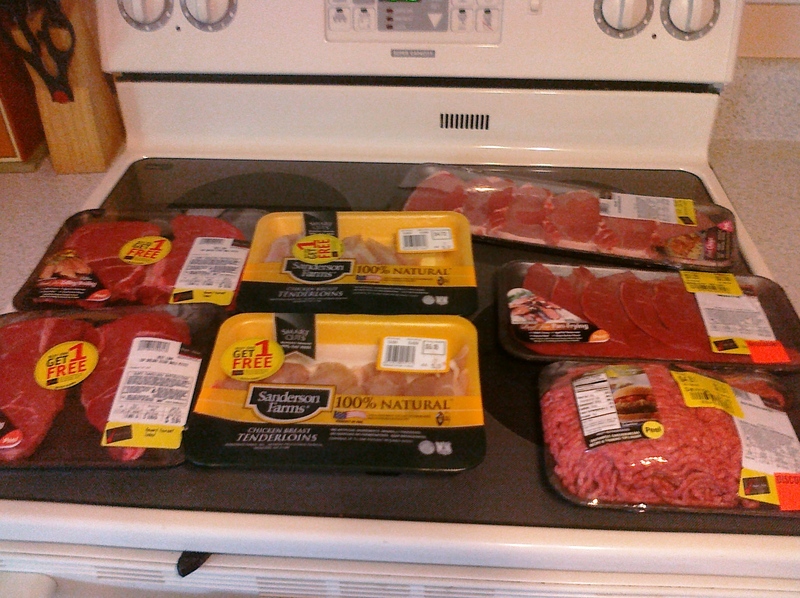 To save money on meat I shop sales and recently I have been finding the best deals at my local Winn-Dixie. There are a lot of things that I find to be a lot more expensive at Winn-Dixie but generally not their meat department. They also have extremely good deals on meat that they put on clearance due to it being close to their sell by date. I freeze a lot of what I buy until I use it and we have never had a problem with any of their meat. The Winn-Dixie butcher himself told me he uses their clearance meat. I spent- $24.74 and saved at least $19 off of the regular Winn-Dixie prices and I’m sure it would have been a lot more than that at other stores. 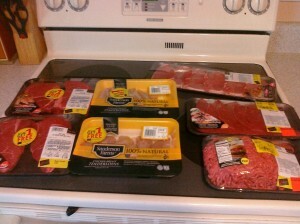 This meat should last us for the rest of the month and hopefully I won’t have to buy much if any more. 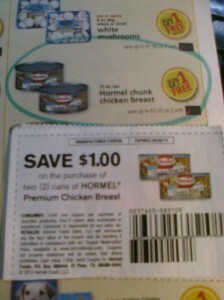 I actually wanted to pair my $1 off 2 Hormel coupons with their B1G1 sale but they were out of stock so I got a raincheck. 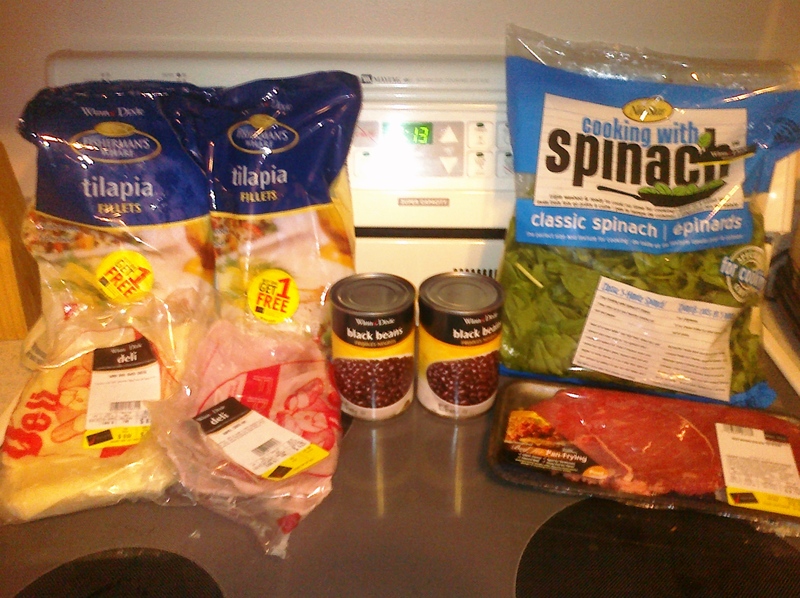 We use a lot of canned chicken and this was a really good price at around $1 per can after the sale and coupons. My sister and I were on our way to the beach this week when we stopped at Winn-Dixie for cash back (avoiding ATM fees) to buy her beach pass (it’s saves us money and is for a great cause). She only bought kitty litter, I’m telling you so you will know that we didn’t buy anything coffee related to trigger this, and out printed a catalina manufacture coupon for a free coffee mate coffee creamer. We also received another catalina coupon for $5 off of a $55 purchase which we can also use at our local Publix. 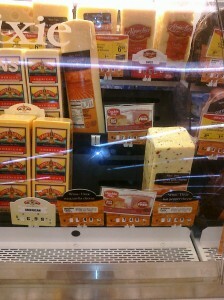 So if you are going to buy something at Winn-Dixie this week it might be extra worthwhile. 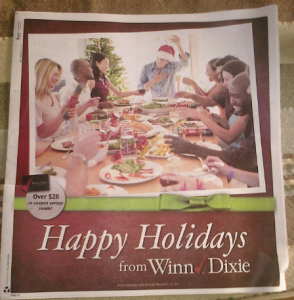 There are two coupons in the new WinnDixie Ad. 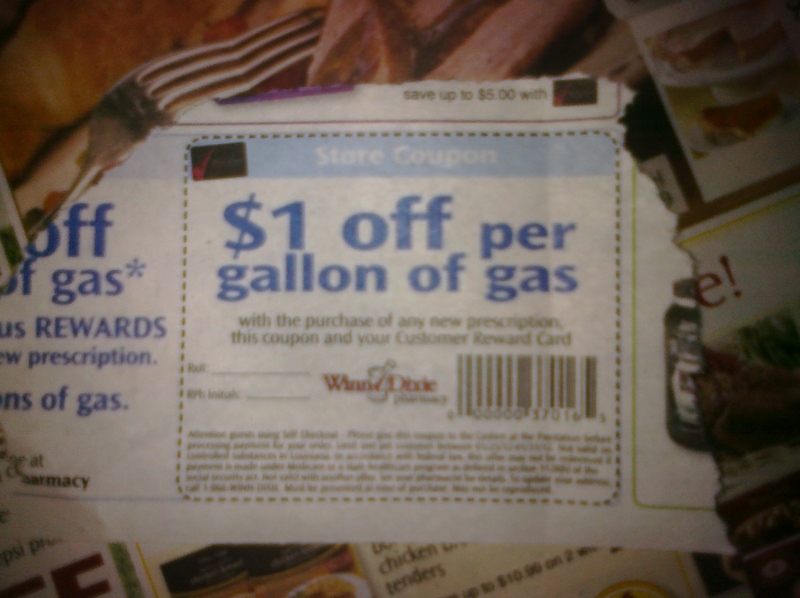 Since this is cold and flu season, some of you may be able to use the prescription coupon and save a bundle on gas. 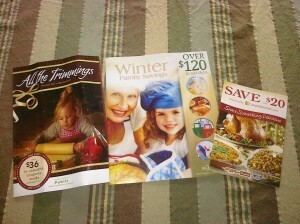 Look Out for These three Free Coupon Books at Publix. They will be on stands towards the front of the store or you can even ask customer service. And this one Coupon Book from Winn Dixie. 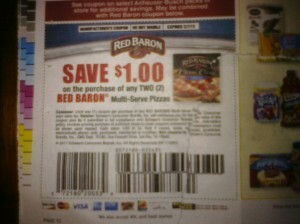 If your Publix accepts Winn Dixie coupons like mine does this will be extra valuable. 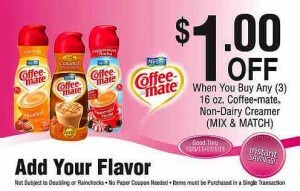 Winn-Dixie is running a deal for an automatic $1 off when you buy three 16oz coffee mate items. 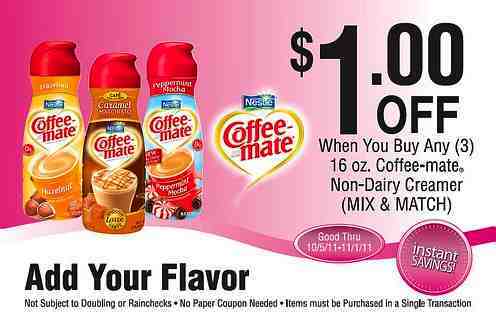 Certain 16oz coffee mate creamers cost 3 for $5. 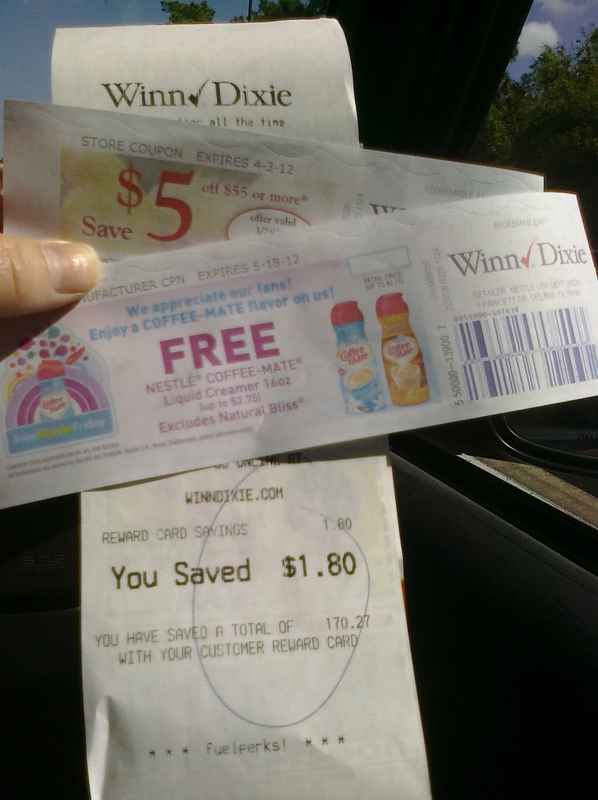 Right in front of the coffee mate section was an in store coupon dispenser with coupons for .55¢ off of one. There are also .50¢ off of one coupons in the 10/30 Red Plum. 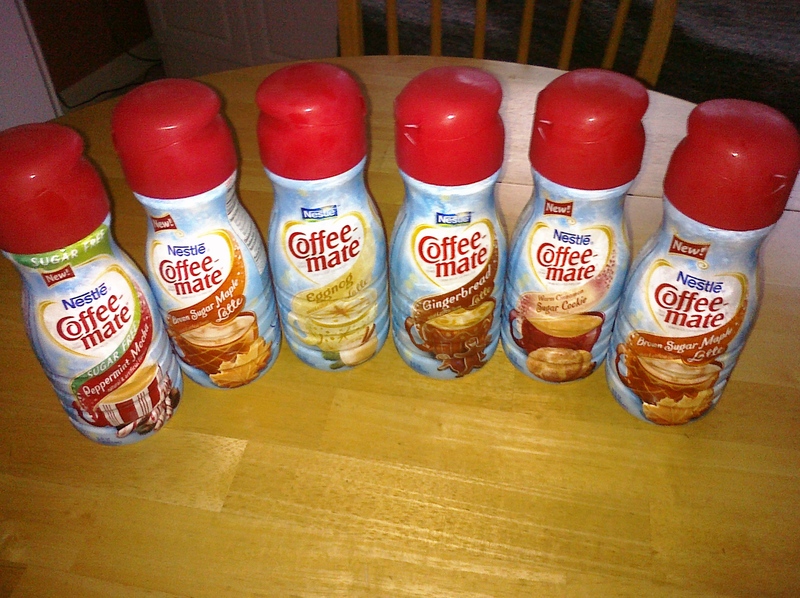 So for $2.35 total or .78¢ each I was able to get three coffee creamers. I did this deal twice because we drink so much coffee in our house. 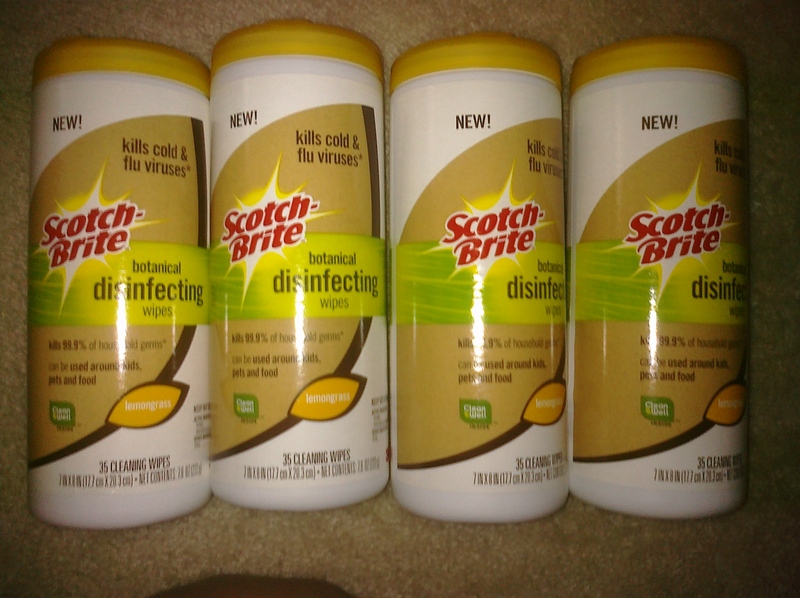 These don’t expire until Feb. but we will have used all 6 bottles long before then. 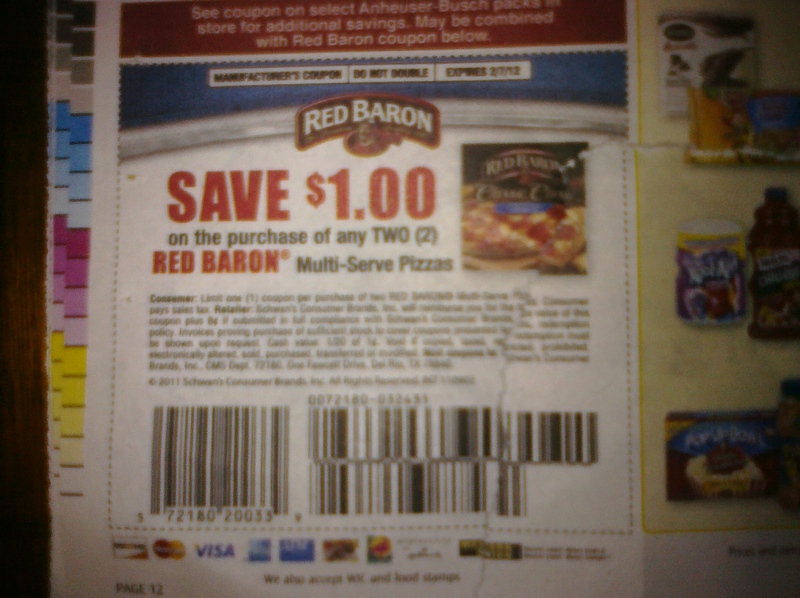 Unfortunately I believe that the automatic $1 off expires today but you would still be able to get three for $3.50 or under with the .50¢ off coupons. 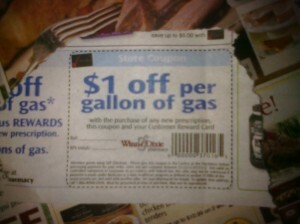 *Note* anything bought at Winn-Dixie also contributes to Fuelperks Rewards to get cheaper gas.